Blue Diamond, a member of the Rolwey Group of engineering companies, is delighted to announce that it has installed Microsoft Dynamics NAV to reinforce the high level of service already on offer to its multifarious customers. Dynamics NAV is a multi-language, multi-currency enterprise resource planning (ERP) solution that will assist with the smooth integration of all aspects of company business including accounting and finances, supply chain, operations and stock management. Best known for the design and manufacturer of high quality components and assemblies made of metal or plastic, behind the scenes Blue Diamond takes equal pride in the level of service offered to customers, a service which forms such an important part of the Blue Diamond ethos. Implementation of Dynamics NAV will assist with the integration of day-to-day activities across the whole of the Blue Diamond organisation from financial management at the top end to the tracking and management of production, stock inventories, order input, keeping abreast of sales, estimating, quality control, managing capacity and providing a holistic view of the business to aid decision making. Blue Diamond has spent several months along with a not inconsiderable amount of money getting to grips with all the possibilities offered by Dynamics NAV including extensive training for all personnel involved with the software. Now that the system is up and running, a roll-out across the rest of the Rolwey Group will follow so that fellow members can all share the benefits. Dynamics NAV will provide a common platform for all divisions of the Rolwey Group ensuring that the service experienced by customers will be more efficient and streamlined than ever before. One of the UK’s leading exponents of high performance sealing, Race-Tec Sealing Ltd is pleased to announce the launch of its new website at www.race-tec.com. With a proven background in the design and manufacture of low friction rotary seals and compact high strength CV drive shaft boots for a range of cross-industry applications, particularly motorsports, Race-Tec has produced a website to match the versatility of its products with a performance-driven design, contemporary look and feel, improved navigation and attractive presentation. Great attention has been paid to the ease with which the site can be accessed via mobile or tablet. Motorsport, aerospace, military, marine and domestic applications are just some of the industries availing themselves of Race-Tec’s ability to design and manufacture seals that provide improved performance and durability. The new Race-Tec website provides an introduction, not only to high performance seals, but to water pump seals, drive shaft boots, precision mouldings, accumulator bladders, vibration isolation mounts and moulded gaskets in more detail than ever before. Race-Tec’s ability to offer bespoke solutions, small batch production, performance analysis, dynamic testing, supply chain management, full batch traceability and laser marking are all fully explained on the site. Blue Diamond and their long term business partner NAK Sealing Technologies Corporation of Taiwan are again joining forces on stand number K65 at Automechanika, the UK’s leading exhibition for the automotive aftermarket and vehicle production sector. Automechanika takes place from the 5-7th June at the NEC in Birmingham. Blue Diamond and NAK will be featuring an ever-expanding range of automotive seals and mechanical components, presenting a highly competitive source of aftermarket components in large and small quantities. The re-engineering of difficult-to-source parts has become a company speciality. With many years’ experience in the production of customised mechanical components, the engineers at Hampshire company Blue Diamond have identified the propensity of customers to spend thousands of pounds, unnecessarily, on the manufacture of handed products i.e. right and left hand versions of the same part. Careful consideration of the ‘design for manufacture’ aspects of these products provides the opportunity to reduce cost dramatically – customers should not be obliged to order equal quantities of left hand and right hand products when they are not needed, just because it’s not economical to set-up for smaller productions runs. It may be possible for parts to be machined in such a way that left hand and right hand features are only added at the end of the manufacturing process, allowing higher numbers of the base part, containing common features, to be produced more economically. Blue Diamond endeavours to re-engineer handed parts in such a way that left hand and right hand attributes are assigned at the end of the manufacturing process – for example, the handed sub-components can be slotted into, screwed into or welded to the main assembly. The streamlining of handed parts has become something of a speciality for Blue Diamond who examine all applications to see if by adapting, or adding mating components, parts can be rotated or adjusted to fit in such a way that the need for handed components is completed eliminated. A new range of premium stainless steel washroom products from Initial Hygiene is enjoying international success. Manufactured by subsidiary Dudley Industries, the products have benefitted from a newly forged partnership with Blue Diamond Technologies – a partnership that has enabled Dudley Industries to improve upon a key component, the lock mechanism – source it more cost-effectively and eliminate volume stocking costs.  Based in Lytham-St-Annes, Lancashire, Dudley Industries supplies washroom equipment to the top five blue chip washroom consumables companies worldwide. It has built its reputation on manufacturing washroom accessories that offer quality and high performance standards, with a short supply chain that ensures efficient delivery. The Reflection range represents a no-compromise approach to product design, with washroom accessories crafted from the finest grade stainless steel and styled to blend discreetly into the end user’s environment. The range includes soap dispensers, paper towel dispensers, air fresheners and more. Attractive, robust and easy to clean, the Reflection range enables businesses to deliver uncompromising levels of hygiene to clients, employees and guests alike. says Dudley Industries senior buyer, Stuart Meakin. Those components included the lock mechanism designed to give janitors and cleaners access to the dispenser. Initially, Dudley Industries had thought to manufacture the lock in house, but came to the decision that its highly skilled manufacturing workforce could be better deployed in other aspects of the Reflection design. By coincidence, Dudley Industries had recently been contacted by Blue Diamond Technologies. As an engineering services provider with substantial experience in engaging with and sourcing products from Far Eastern suppliers, Blue Diamond felt its expertise would be a good fit with Dudley Industries’ potential requirements. When Dudley Industries made the decision to subcontract the manufacture of the Reflection range lock, Blue Diamond was the first port of call. As a result of this reverse engineering, Blue Diamond suggested minor refinements to the lock assembly, which were authorised by Dudley Industries after the submission of an initial sample. Blue Diamond also suggested, perhaps counter-intuitively, that the most cost effective route for manufacture was to source different components for the lock from different suppliers, and then assemble it in the UK. “At the same time, we have extensive in-house engineering capability”. Not only would this lower cost, assure quality and help to give Dudley Industries a competitive edge in design of the Reflection range, it also meant that the company would not have to absorb the cost of ordering and stocking parts in volume. Orders for the Reflection range are growing at an increasing rate, with installation in the likes of the Orient Express demonstrating the prestige nature of the product. Blue Diamond has launched a new “search and find” service to assist engineers who find themselves with a component whose providence is unknown or lost in the mists of time. Maybe the original drawings have disappeared or the spec has long since vanished along with the previous supplier. Just let us have a sample of the product in question, be it metal, plastic or rubber, and we will either source the original supplier on your behalf or prepare a new spec using our in house materials analysis and measuring devices. Either way, we’ll soon have your problem part back in production. Blue Diamond Technologies specialises in the design and manufacture of bespoke mechanical parts and is building on its experience supplying fasteners for the automotive aftermarket to provide customers with bespoke industrial fasteners for any market sector. 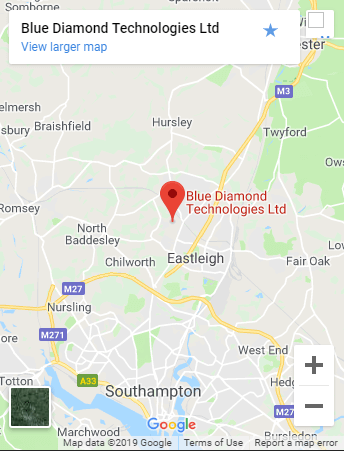 With more than 40 years’ experience, Blue Diamond already provides a single UK source offering global procurement of special parts and is now widening this service to supply custom fasteners with complex or unusual geometries in low batch quantities – typically 500 upwards. Custom fasteners are manufactured using hot and cold forging techniques at a fraction of the cost normally incurred to machine them from scratch. This includes fasteners with eccentric heads, unusual head forms or recesses, captive washers, and with features such as thread-locking compounds and nylon inserts. Where required, further details can be added using secondary machining processes. Examples of components already supplied by Blue Diamond include bolts and fixings with hexagonal socket, flanged, triple square, double hex, and hexalobular head forms. Nuts can incorporate flanges, castellations, self-locking features and captive washers. Parts can be supplied in a wide range of materials including carbon and alloy steels, stainless steels and non-ferrous metals. Heat treatment is available to achieve enhanced mechanical properties as needed. For companies who are currently incurring high costs to obtain complex fasteners manufactured using conventional machining techniques, Blue Diamond can offer a highly attractive low cost alternative. Blue Diamond has extended its network of production partners in the Far East, enabling the company to offer customers even greater scope to take advantage of Far Eastern product pricing, but without the risk of trying to find manufacturing companies and dealing direct. In addition to their long-established manufacturing associates with a sound pedigree in producing fully customised parts and assemblies, Blue Diamond has added to its roster of manufacturers, now providing a comprehensive network of partner companies for standard components and materials manufactured in metal, rubber or plastic. Blue Diamond does not set out to be a product designer, although it may well offer design suggestions for improving a product or assembly. Rather, it aims to take all risk out of the process of dealing with the Far East, firstly by taking responsibility from a design-for manufacture perspective to ensure that the product a customer wants can indeed be made to meet the application requirements, and secondly by absorbing the risk of something going wrong during production. Working with its suppliers, Blue Diamond can provide all the benefits of global procurement for engineered machine component parts with the convenience of a single UK source, enabling companies who don’t have their own in-house resources to take ideas and concepts into volume production. Blue Diamond, with its enviable reputation for advanced engineering of the highest quality, has added sump plugs to its arsenal of automotive aftermarket products. Sump plugs, or oil drain plugs as they’re sometimes known, take the form of a bolt at the bottom of the sump pan which enables oil to be drained from a motor vehicle engine during oil change. Available off the shelf to suit most vehicle specifications, Blue Diamond can provide sump plugs in all thread sizes from M10 up to M38, as well as Imperial sizes. The majority of plugs are manufactured in steel and can be accurately assessed for hardness rating. Finishes include black/grey phosphate, geomet, zinc and clear passivate, black oxide and many more. Sump plugs can incorporate special features such as internal O-rings, captive washers and rubber overmoulds for improved sealing where required. Blue Diamond sump plugs are suitable for multiple vehicle interchanges from a wide selection of manufacturers including, but not limited to, BMW, Chrysler, Ford, GM, Honda, Kia, Land Rover, Mazda, Mercedes, Opel, Peugeot, Subaru, Suzuki, Toyota and VW.